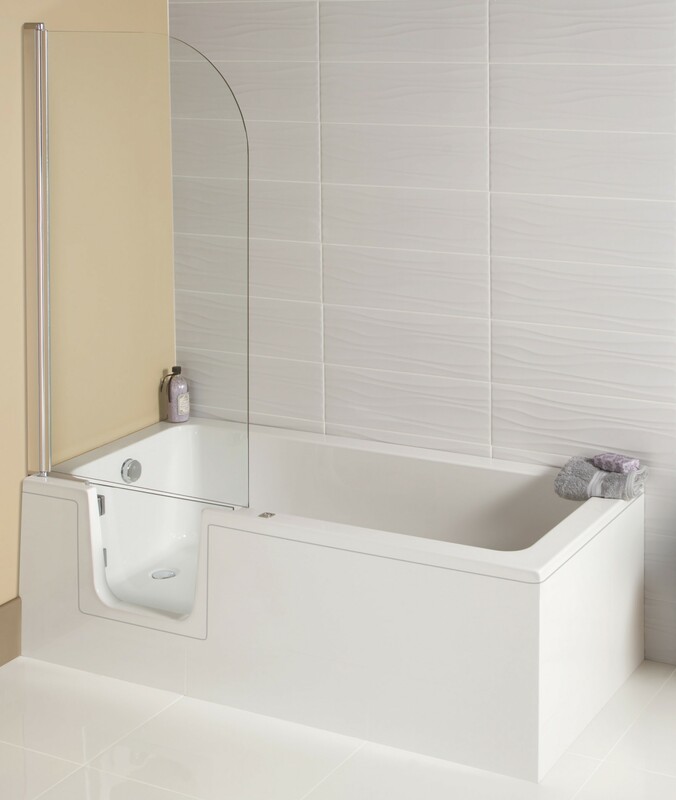 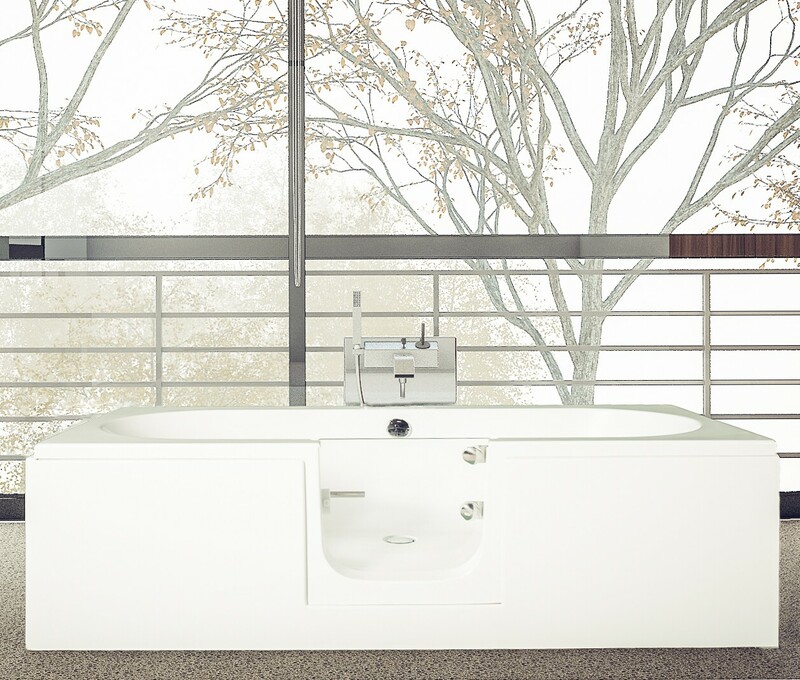 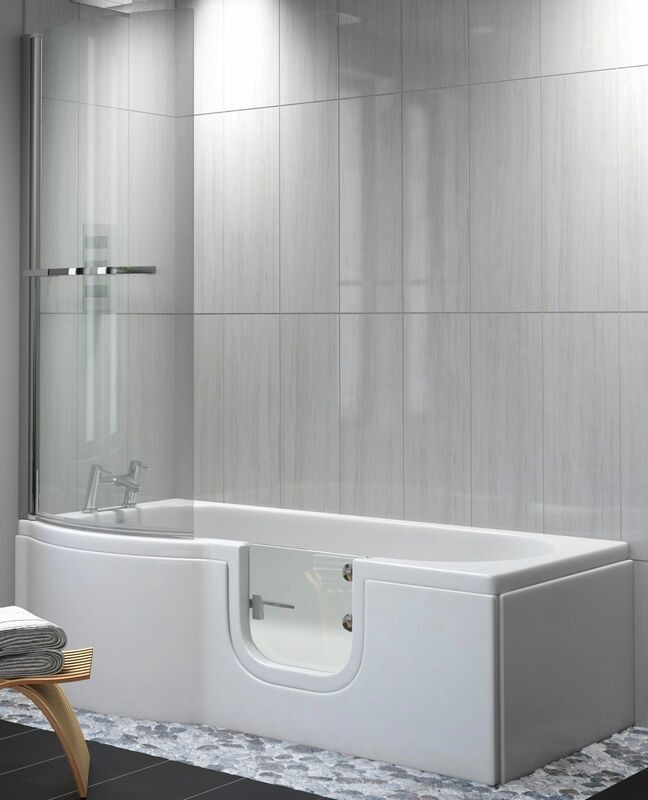 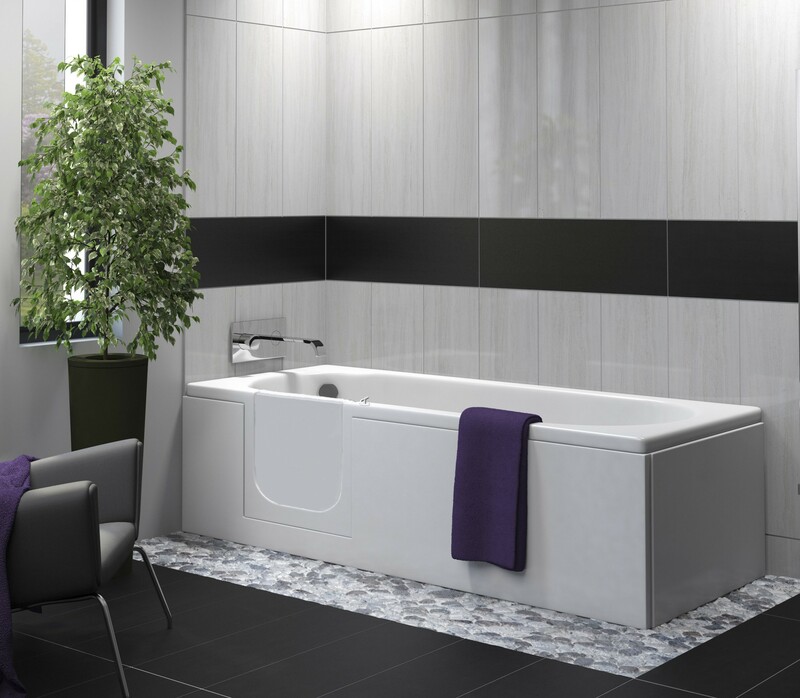 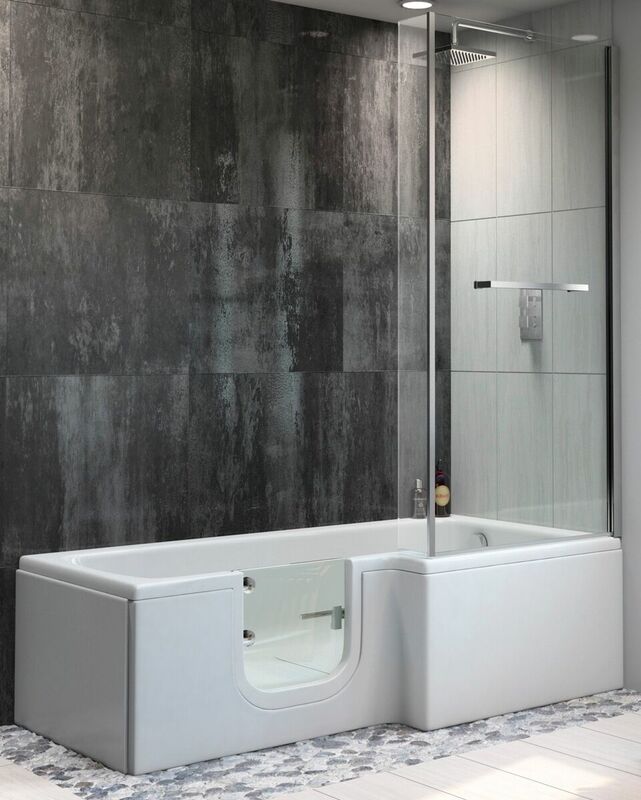 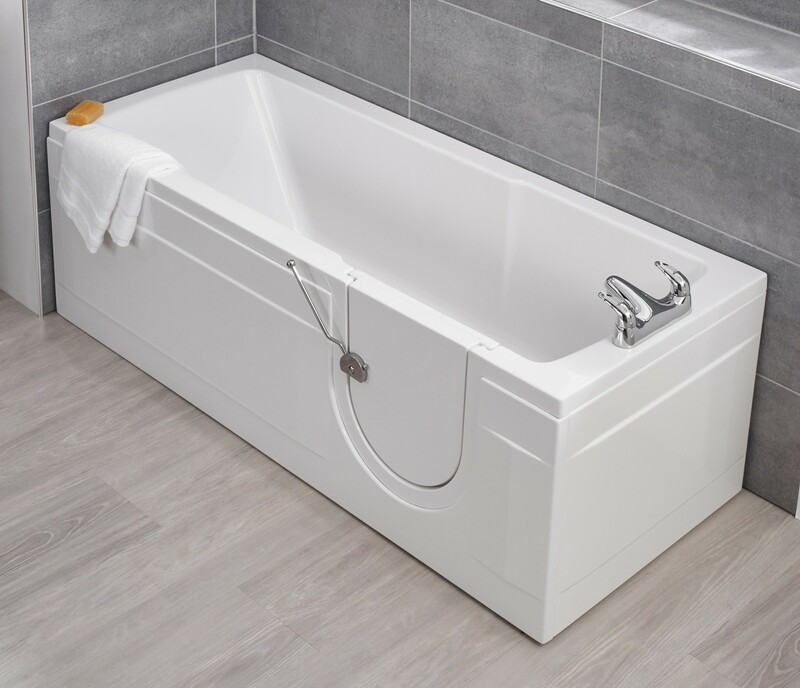 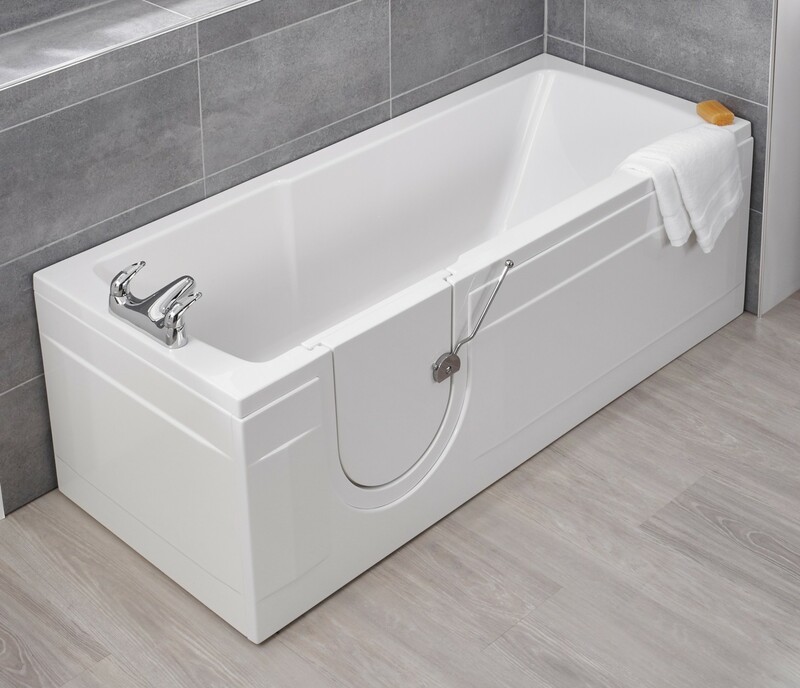 The Arizona easy access bath offers clean, crisp lines with a low threshold. 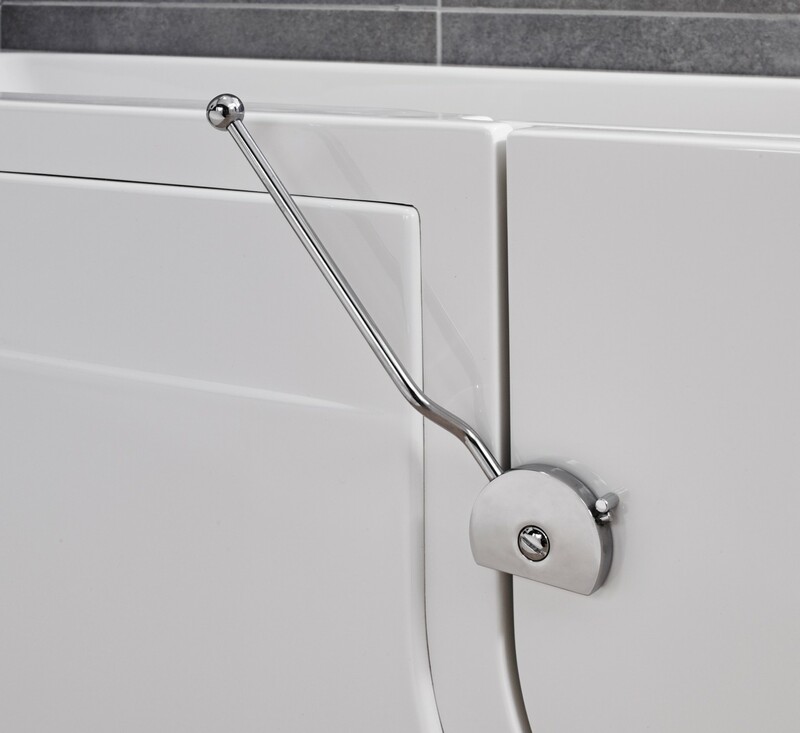 The stylish design features a white step through door with easy action lever latch. 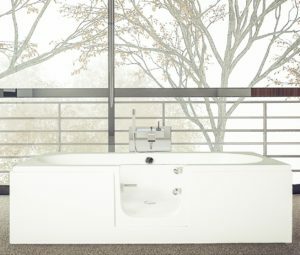 Simply step inside, push the door shut and close the latch. 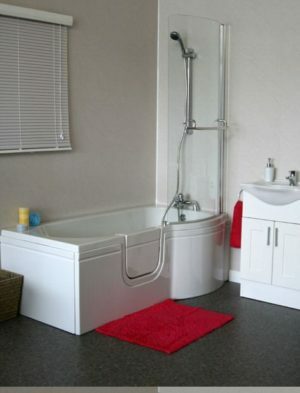 To open the door after bathing, wait for the bath to empty and push the lever to open the door. A sturdy silicone seal ensures the door is watertight. Once inside the Arizona walk in shower bath, you’ll find a generous flat based showering area to aid standing showering. 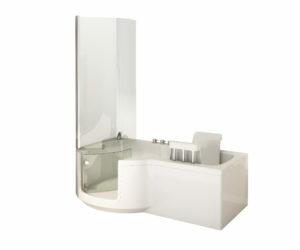 A pop up waste is an optional extra. The Arizona easy access shower bath – elegant luxury! Height 555mm (21.75 inches) depending on installation. 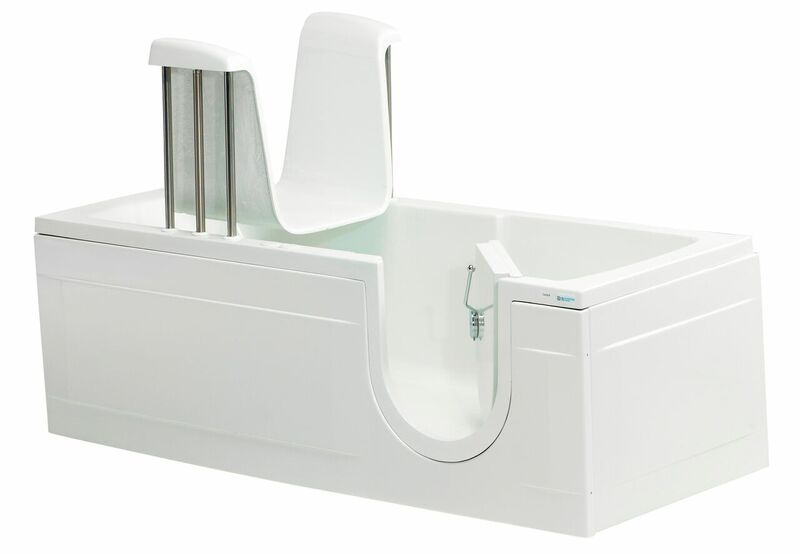 Warranty: Bath 10 years manufacturing or material defects, door seal lifetime.